The Beatles began work on Good Night, the White Album's final track, on this day. The session began at 7pm and finished at 4.30am the following morning. It began with a number of rehearsals which were committed to tape. One of the rehearsals was included on 1996's Anthology 3. It features Ringo Starr on vocals, John Lennon playing piano, and George Harrison keeping time on a shaker. 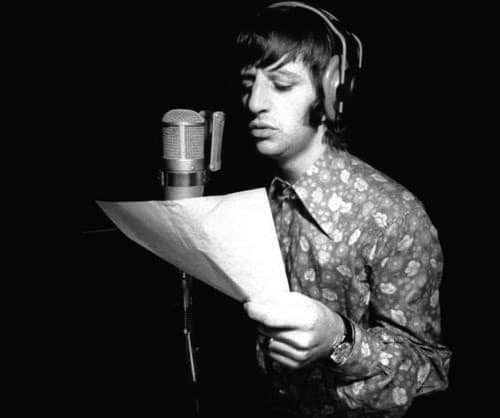 The Beatles recorded five proper takes of Good Night during this session, featuring just Starr's vocals and Lennon's acoustic guitar. Lead and backing vocals were added onto the last of these on 2 July 1968. The personnel for the rehearsal take from “Anthology” are incorrect- George Martin plays the piano on that take, as his voice is clearly audible on the studio floor with Paul and George, as Ringo chats with Lennon in the control room. In the track on Anthology, it sounds as if George Martin is speaking to another person playing the piano. The playing sounds too sophisticated to be John Lennon. Could it be Chris Thomas, perhaps? I’d be interested to know if Lennon’s original demo of this song has ever surfaced. It was mentioned by Geoff Emerick as being a great demo but he said it was lost..possibly by Ringo?